The 1980's were very influenced by creativity though it wasn't until the mid 1980s it actually started showing its creativity. 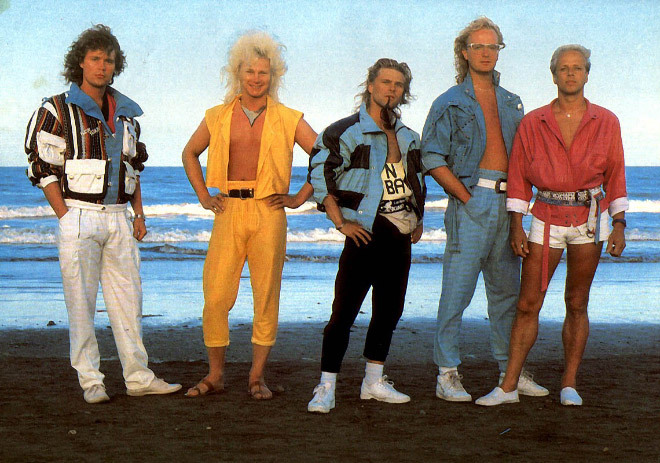 In the early '80s the fashion was pretty much like the 1970's. Clothing colors were very basic and there wasn't many accessories to be seen. By the early 1980's working women was no longer a unusual and rare. As the women started working they of course needed some serious work outfits. This could be a knee length skirt with a blazer. Around 1985 it became much more colorful. The rising popstar Madonna had a huge influence on the female fashion. Many girls wanted to achieve the look Madonna had in her music video for "Like A Virgin". (Picture further down on this page). Gloves were one of the many items Madonna made popular. Some of the other items included hairbows, headbands and tulle skirts. While Madonna inspired the women, Michael Jackson inspired the males. 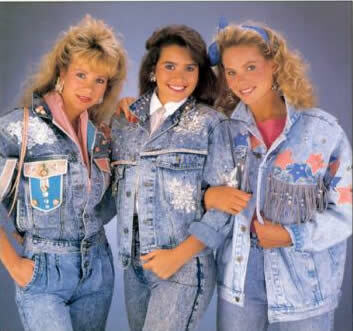 This included leather pants, white gloves and leather jackets with puffy sleeves. By 1986 women started moving into better professions. This also made them able to buy more expensive and high quality fur. The mink became the fur of choice. Pants were a popular option for women and were sold in many different styles and also colors. In 1987 the short skirt made a comeback, scarves did the same. The mid 1980s were a time to experiment. This included fabrics changing colors, and clothes meant to be worn backwords. Nothing was impossible. Belts and bracelets were the most viral accessories. 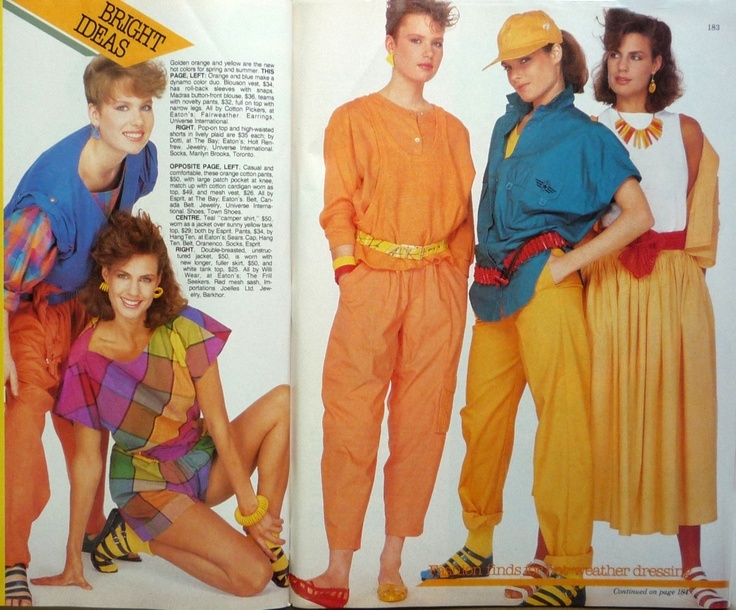 Bright neon colors also were very common - thats also one of the famous features from the 1980's. Prints featured cartoon characters like Garfield and even E.T. 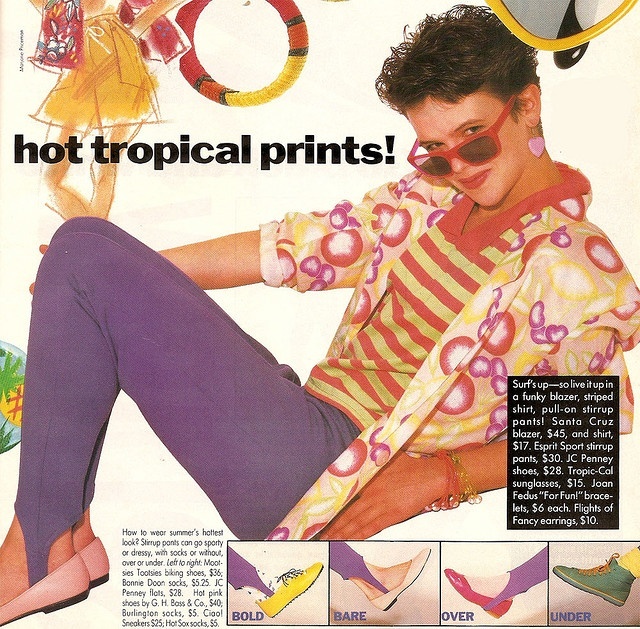 Bright colors, sunglasses and hoop earrings were a must have. Teased hair, loud makeup and neon colors were also a very important part of the 1980 style. By the late 1980s Nike had grown to become one of the most famous clothing companies in the world.